- Industry specific templates with headlines, text, photos and graphics. - Professionally designed websites for business, school and home use. - Templates include ready-to-use images and industry-specific text. - Easily add and edit text, logo, images, fonts and links.name. - Add Google Maps, Facebook and Twitter link sharing buttons. - Insert SEO on each page with titles, keywords, and descriptions. 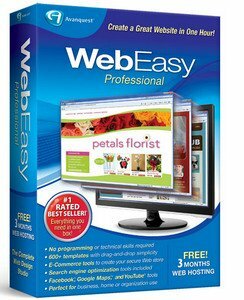 - Publish your site directly from within WebEasy. - Get domain name and email addresses. - Even launch an e-commerce business. - New Website Template Gallery Completely redesigned website assistant lets you browse and preview hundreds of cool designs directly in any browser. - New Website Style Gallery Hundreds of styles that add fonts, colors, links, backgrounds and more to any template in minutes. - New and Improved Google Maps Easily one-step process adds Google Maps directly to your website. Makes it easy for visitors to find your store, office or other locations. - New Cutting-Edge Website Templates Including restaurants, photography, wedding, construction, outdoors, products/services, medical, real estate, gardening and more. - Easier Than Ever to Use New workflow makes creating your website simpler and more intuitive than ever. GetDataBack Simple is a completely redesigned and rewritten Data Recovery solution for Windows file systems. Our developers have combined decades of data recovery experience with the newest technologies. GetDataBack Simple is a completely redesigned and rewritten Data Recovery solution for Windows file systems. Our developers have combined decades of data recovery experience with the newest technologies. GetDataBack Simple combines recovery capabilities for FAT and NTFS. You do not need to find out beforehand which files system your drive was formatted with. GetDataBack Simple's recovery engine internally uses four distinguished sophistication levels that automatically escalate until good results have been achieved. GetDataBack is read-only, meaning the program will not attempt to "fix" or write to the drive you are about to recover. GetDataBack Simple's user interface is so simple, it enables even the most inexperienced users to conduct their own data recovery with just one click. iOrgSoft Audio Converter is a simple, fast and straightforward audio converting utility that can batch convert audio files between MP3, WMA, M4A, MP2, AAC, AC3, AMR, etc. 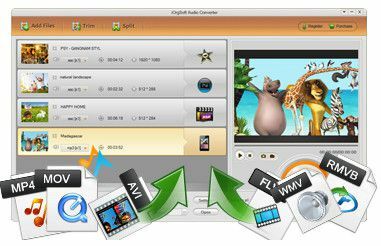 and also convert video to audio, trim&cut audio file, reset audio bit rate, encoder, etc. Convert audio files between almost any formats, including MP3, WMA, M4A, AAC, AC3, MP2, WAV etc. Extract audio tracks from videos like AVI, WMV, MPG ,MP4, VOB, FLV, SWF, RMVB etc. Gives option of setting encoder property like sample rate, bit rate, channel and volume. iOrgsoft Audio Converter offers an easy solution to solve all audio format incompatible issues. With it, users do not need to worry about that their favorite music or songs cannot be played on their phones, tablets, MP3 players, MP4 players, or other media players. This Audio Converting tool can easily convert between almost all audio formats including MP3, WMA, M4A, MP2, AAC, AC3, AMR, WAV, WMA, AAC, FLAC etc and common video formats. MPG, MPEG 2,MPEG, VOB, MP4,DAT, M4V, TS, RM, RMVB, ASF, WMV,MKV, AVI, 3G2,3GP, FLV, SWF, MPV, TOD,MOD,etc. After several upgrades, iOrgsoft Audio Converter has improve the output quality greatly. While converting audio and video to audio, it can perfectly remain the original audio quality and can output audio with bit rate up to 256kbps with ease. As for speed, Audio Converter has also improved greatly. With it, users do not need to wait too long before get their favorite music. Before conversion, this program allows users to edit the source files. Trim: by trimming, users can get certain parts of the music from the original files, then convert them to audio. Split: Users can split the source files averagely to several parts easily by setting time or the number by clips. This Audio Converter allows batch conversion, which means, users can import a pile of files to the Converter and let it convert at one time. Besides, this program comes with an intutive interface makes the program easy to handle. Ashampoo Movie Shrink & Burn 4 tailors your videos to your device, whether it be smartphone, tablet, gaming console or PC. All common as well as all the latest models such as Sony Playstation 4, iPhone 6 and Samsung Galaxy S5 are supported. And the intuitive step-by-step user approach guides you from start to finish in just seconds. It couldn't be any easier! 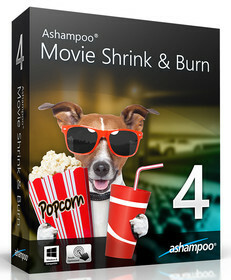 Ashampoo Movie Shrink & Burn 4 is the worthy successor to Movie Shrink & Burn 3. Experience a fresh, modern design with state of the art handling. 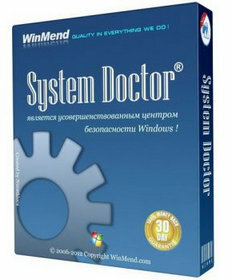 Profit from the latest software technology with multi-core support for blazingly fast results. Put your videos on all your devices including the latest smartphones and gaming consoles. Use Ashampoo Movie Shrink & Burn 4 to effortlessly convert and size-optimize your movies for any device whether it be smartphone, gaming console or PC. Enjoy your favorite movie on the go on your iPhone or your Xbox 360 and optimize your videos for sending and sharing. Your videos are now playable on every device! While you can certainly process your videos one by one, Ashampoo Movie Shrink & Burn 4 also works with entire batches of videos to process entire folders in one go. The integrated multi-core support ensures the operation won't turn into a waiting game. Naturally, Ashampoo Movie Shrink & Burn 4 supports common portals such as Youtube and Dailymotion. Optimize your videos or upload them right from within the program to your favorite video portal. It's that simple. Do you favor the classic approach to video watching? Burn your movies to DVD and Blu-ray right from within Ashampoo Movie Shrink & Burn 4. Show your very own selfie on the big screen in HD quality at the next family gathering. You can also use the burning feature to archive your video collection on Blu-ray and navigate it easily using the intuitive on screen menus. Business Card Software to Make Great Looking Business Cards in Minutes. - The Original & Best Business Card Software. Easy to Use. Professional Results. - Save Money! Print high quality business cards on your printer as you need them or do the design yourself and send it to a professional printer using our business card software. - Supports All Business Card Paper and Card Styles including double sided business cards, folded business cards and CD business cards using letter and A4 size paper from Avery®, Staples® or any other manufacturer. Even print to plain card stock and cut the cards out yourself. - Hundreds of Business Card Templates, Backgrounds and Textures included, plus use your own logos, pictures and clipart in any standard format to create a business card that is just right for you. Create a Business Card FAST! Use the Design Wizard to create a great looking business card from one of hundreds of business card templates with this business card software in literally seconds. If you prefer you can also create a blank business card and design it yourself or import an image of an existing business card. Our business card software lets you work the way you want to. You can print your business card on your computer's printer and achieve excellent results or you can save your business card as an image and take it to your local print shop to have your custom business card printed professionally. Either way our business card software creates great looking business cards just for you. Design US size, metric size or a custom business card size. A business card any size between 1 to 4 inches can be created. 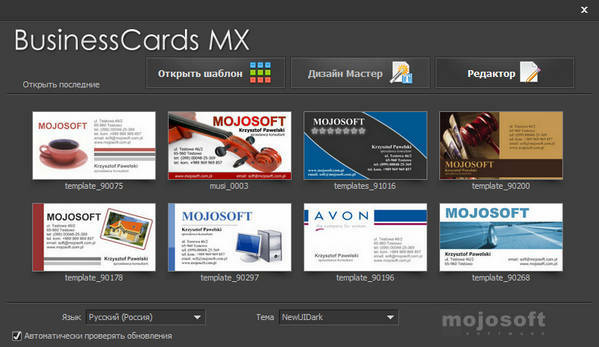 That makes our business card software perfect for creating a business card for anywhere in the world. Create standard wide business cards, tall business cards, as well as double sided business cards, photo quality business cards, folded business cards and CD-R business cards. You name it and our business card software can handle it. With our business card software you can use your own images so your business card is as unique as your are. All standard formats are supported and you can even scan an image directly into your design. - This is a minor update to workaround a problem introduced in a recent Windows Update. If outlines in shape and text objects are no longer visible this update will fix the problem. This is a free update to licensed users of V11 and a paid upgrade to licensed users of V10 and older.